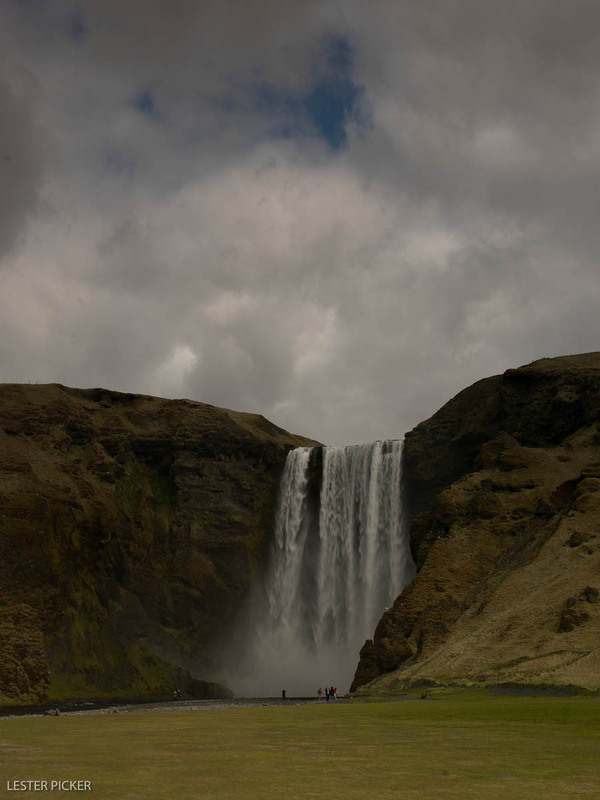 One of the joys of driving around Iceland is that you won’t drive far without seeing a waterfall (‘foss’ in Icelandic). I don’t mean piddly little falls. In Iceland, nearly every falls is a major gusher, whether in height or volume (hydropower supplies 70% of the electricity in Iceland, with geothermal the remaining 30%). Instead of ranting on about the incredible waterfalls, I’ll give you some quick examples. The short video clips were taken with my iPhone 4S. This is a smaller waterfall I came across while visiting a historic site. The falls was mostly hidden by a rocky berm, but as I drove I noticed a flash of light that I thought might be a falls. We ended up hiking a fair distance to reach it, but it was worth it as we photographed it for more than an hour. This next falls is one of the most famous in Iceland. Known as Gullfoss, it has more water flowing than Niagara Falls in upstate New York in the United States. The sound as you approach it can be intimidating, but once you see its massive power and glorious structure, you can’t help but be wowed.